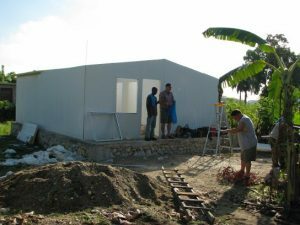 In response to the earthquake which devastated Haiti in January 2010, we partnered with the Evangelical Missionary Church of Canada to bring some relief by providing affordable, permanent housing. 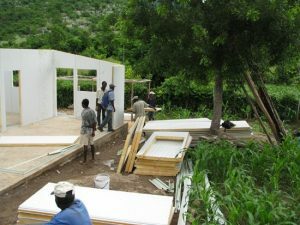 These houses have been built in the north of Haiti where the EMCC has been working for over 50 years. 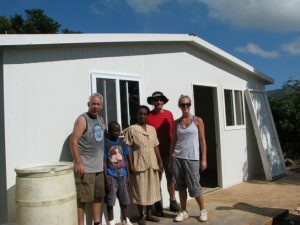 The people who have received the houses have been chosen by the leadership of the AEM, a partner agency in Haiti, and must have deeded property. Land ownership by a few people in Haiti continues to be a barrier to building permanent housing in Port au Prince where it is desperately needed by the tent dwellers. 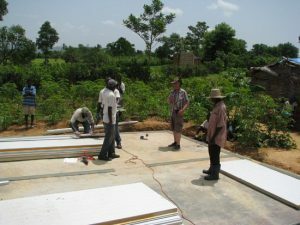 Our first attempt to construct the houses came in September, 2010 but because of bureaucratic red tape, another volunteer team had to return in October and finally built 4 houses. 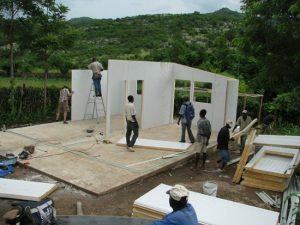 To date, 9 houses have been erected by volunteer groups and 25 more are slated for construction in January and March 2012. A doctor’s residence will also be built in March. These modest homes are built from precut and prepackaged insulated metal panels fastened to a concrete slab. The insulated roof and walls keep the house cool during the day and the concrete slab which acts as a “heat sink” keeps the house warm at night. This material is also termite resistant which means the house will last longer than a wooden structure. 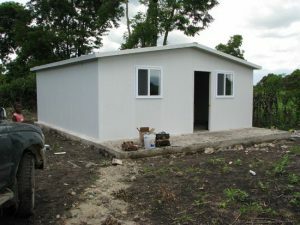 As of November, 2012, homes have been built for 30 families in the upper plateau area around La Jeune and Hinche. 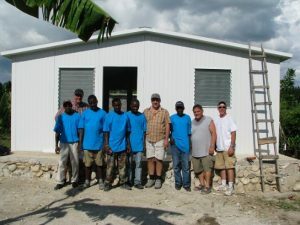 Haitians and short-term mission teams have worked together to build modest, safe homes for their families. We are hoping to establish permanent housing for some of the tent city families who were relocated when pressure and threats made it too dangerous to stay where they were. 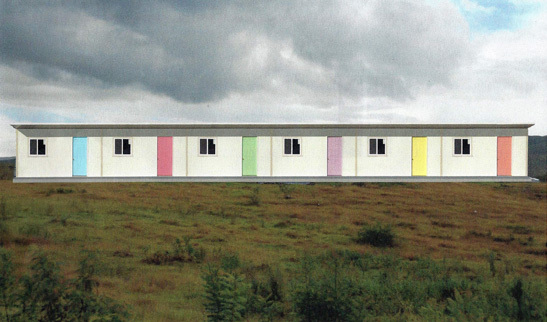 Funds are needed to begin this project of row housing. One of these camps is Camp Moysaic. Read more at Haiti Allies. These 230 sq. ft. units have 2 bedrooms and a living area. They can be built as single units or in multiples.